And now, the trailer for the fourth season of Mozart in the Jungle, a prestige-adjacent television show that I have not watched yet but have considered at least three times before settling on yet another episode of Rupaul’s Drag Race! Surely some people watch this show; for those people, who include two Jezebel staff members, the arrival of this trailer is likely a welcome respite from Hell. 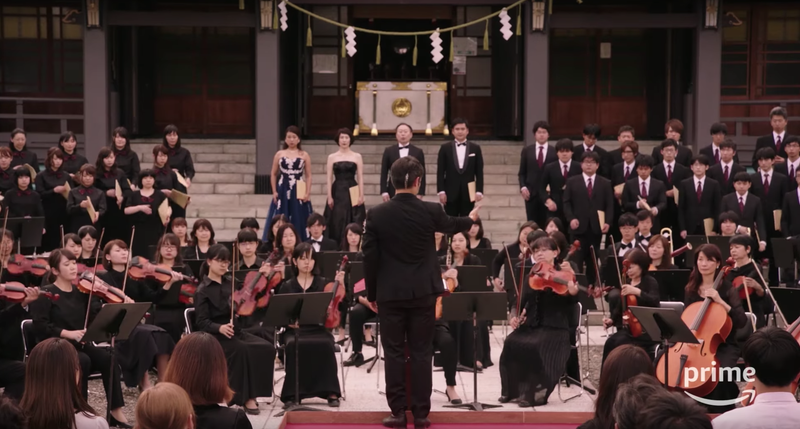 Based on the trailer, I have come away with a new understanding of the insular world of classical music and the people that involved, though I will say it looks like not a lot of composing and a whole lot of clandestine couplings in dimly-lit hallways and what have you. Music! Strings! Viola! And here is my personal interpretation: Gael Garcia Bernal is sleeping with the Kirke sister I always forget, Lola. There is dancing in this—ballet!—which makes sense. Also, the group of friends/coworkers/lovers goes to Japan, meaning that we get to see Bernadette Peters say “Kampai!” with such joy that I’m almost compelled to watch the show in defiance of my own personal rule that if a show is three seasons in, it’s too late for me to start. The fourth season premieres February 16, which gives me almost enough time to become, in the words of Jezebel senior staff writer Madeleine Davies, a “Moz Head.” I cant wait. Hailey Is Ready for Micro Bangs on Mozart in the Jungle, But Is She Ready to Conduct?